Two amendments regarding other reporting requirements for the state’s child welfare system were adopted during select file debate. Crawford offered an amendment, adopted 31-0, to add provisions of her LB1073. The amendment would require DHHS to include in their existing weekly report to the Foster Care Review Office whether relative and kinship placements are licensed or received a waiver. “It’s critical that the state know how many of these homes are not meeting this licensing requirement,” Crawford said. An amendment also was offered by Lincoln Sen. Kate Bolz to add provisions of her LB411, which was introduced last session. She said the proposal would ensure that reasonable efforts are made to place children in state care with their siblings. 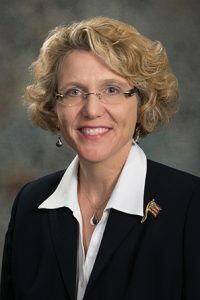 The amendment would require that DHHS file a written sibling placement report with the court within 30 days of a juvenile being placed in state care and at specified intervals while he or she remains in state care. It also would clarify that a sibling can be in the group of parties to a case who may file a motion for joint-sibling placement, visitation or ongoing interaction between the siblings. The amendment also would require that DHHS file a notice of placement with all of a child’s known siblings. A parent or sibling could choose to opt-out of receiving such notifications. DHHS would be required to make reasonable efforts to place siblings together even if there is no preexisting relationship between them. It would be left to the court to determine what constitutes such reasonable efforts. Following adoption of the Bolz amendment 32-0, the bill was advanced to final reading by voice vote.